Home / health / 10 Foods You Should NEVER Refrigerate? 10 Foods You Should NEVER Refrigerate? 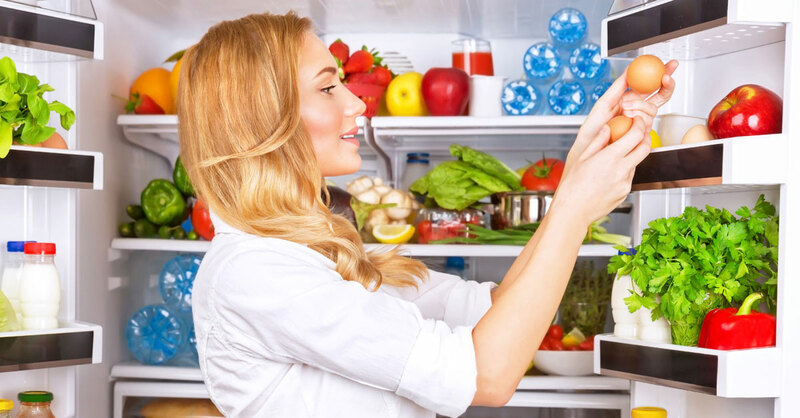 The best invention for food conserving probably is the refrigerator. It helps to keep the food fresh and prevents many foods from becoming laden with diseases-causing bacteria.. According to study made back in 2006 the U.S. Department of Agriculture (USDA) researchers found that when stored at room temperature, watermelons have more antioxidants (lycopene and beta carotene) than when stored in the refrigerator. Keep it on room temperature, but if you cut it on slices and cover it up you my keep in the refrigerator. Because of it delicacy the lost the flavor and texture when are kept in refrigerator. Cold temperature damages the membranes along the fruit’s walls, making them lose flavor and become mushy. Plus, cold air stops the ripening process. One of the best places to store unripe tomatoes is on the counter at room temperature. To speed up ripening, put them in a paper bag. Also, keep them stem-side down. However, if you have overripe tomatoes, you can store them in the refrigerator for 2 to 3 days before they go bad completely. If you keep potato in refrigerator you get potato with increased sugar content, because the cold temperature breaks down the starch in potatoes. Never keep a whole onion in refrigerator; it will become soft and moldy. Chopped and sliced onion it is allowed to be kept in refrigerator. Whole onions should be kept in a cool, dry, well-ventilated area in the mesh bag they came in. Do not store them in plastic bags, as lack of air circulation can affect their shelf life. Plus, never keep onions alongside potatoes, as the moisture and gas emitted from them can cause both onions and potatoes to spoil quickly. There is no need to store honey in the refrigerator, but you don’t want to keep it near your stove or oven either. Extreme cold or hot temperatures can spoil its taste and texture. When exposed to cold temperature, honey may begin to crystallize. Do not use honey if it smells sour or has visible mold growth. Properly stored honey may naturally solidify and crystallize as it gets older. Never keep the bottle of olive oil in the fridge if you use it for salad dressings or cooking. Very low temperature causes the oil to condense and take on a harder consistency. Refrigeration can also cause olive oil to become cloudy, which affects the quality and flavor. Never keep your olive oil container on a windowsill, near your stove or in a cabinet above the stove. When exposed to repeated heat and light, olive oil can turn rancid. Rancidity can set in long before you can taste it or smell it. Also like onion whole bulbs of garlic is no good to be stored. From the cold temperature they become soft and start deteriorating. Also garlic stored in fridge can change the taste. Coffee beans are hygroscopic by nature that means that they can easily absorb moisture. Moisture will affect the aroma and flavor of both coffee beans and grounds. Plus, coffee may take on the smell of other food in the refrigerator. Also the bread is one of the foods that should not be kept in the refrigerator because it absorbs moisture. The starch breaks down and becomes increasingly amorphous. This causes the bread to dry out quickly. Plus, it actually gets stale faster. Stone natural products are those that have seeds or pits in them that are generally expansive contrasted with the organic product’s span. Samples of stone natural products incorporate peaches, apricots, fruits and plums. There is no compelling reason to keep stone organic products in the cooler. Icy temperature and dampness can rapidly influence their quality and flavor, and transform them into a mildew covered chaos.